Calling all iPhone lovers! Snow Lizard just launched their uber-rugged iPhone 4/4S AQUA TEK S case and it’s the world’s first waterproof, solar-charged, battery-powered case. Unveiled via Kickstarter today, the case combines battery and solar technology, and it protects the phone against bumps and spills and even allows your phone to double as an underwater camera – perfect for thrill seekers with an eye for technology. AQUA TEK S.’s outer shell is made from tough polycarbonate materials with rubber grips for added protection. So whether you’re skiing or diving, this durable protective case could be just what you need. Brought into the market by specialists in mobile accessories that protect technology and enhance usability, Snow Lizard‘s device is looking to attract support from technology enthusiasts with their Kickstarter campaign. The case comes in a range of designs so take a look at their website for more images. How much does it cost, when will it be out and where can I find it?? It seems fantastic!! When will you have one for iPhone 5? Calling all iPhone lovers! Snow Lizard just launched their uber-rugged iPhone 4/4S AQUA TEK S case and it's the world's first waterproof, solar-charged, battery-powered case. Unveiled via Kickstarter today, the case combines battery and solar technology, and it protects the phone against bumps and spills and even allows your phone to double as an underwater camera - perfect for thrill seekers with an eye for technology. 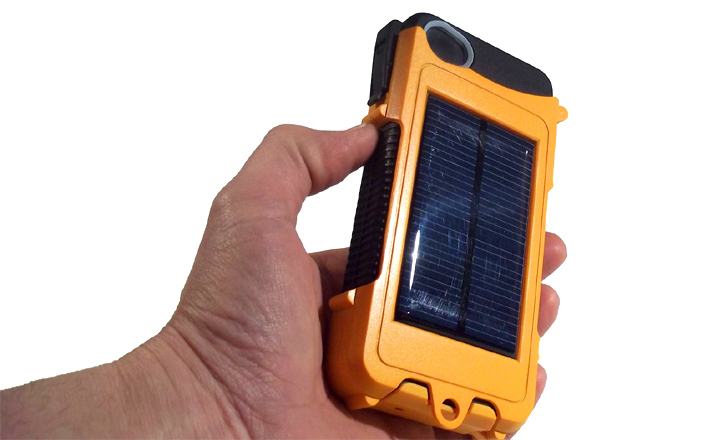 Make your iPhone greener with this solar charging AQUA TEK S. case, perfect for the great outdoors. Unveiling its Kickstarter project today, design team Snow Lizard are launching the first uber-rugged iPhone 4/4S caseof its kind. Not only does the case combine battery and solar technology, but it protects the phone against bumps and spills and doubles as an underwater camera, so you can even dive 20 feet down to take some cool water-filled snaps - perfect for thrillseekers with an eye for technology.